You are here: Home > Company > Customer Stories > Greenco of Augusta, Inc.
Greenco of Augusta, Inc. provides superior engineering design and construction services for HVAC, plumbing and process piping. Owned and managed by Joe Green since 1997, Greenco serves commercial and industrial clients throughout Georgia and the Southeast. Greenco has wide experience with design, design-build and construction installations on mechanical, electrical and plumbing (MEP) projects ranging from small office buildings to restaurants to medical offices and laboratories. Their largest project to date is a 75,000 square-foot, two-story office building. Mr. Green already had extensive CAD experience dating back to the 1980s when he first purchased Design Master Electrical in 2004. 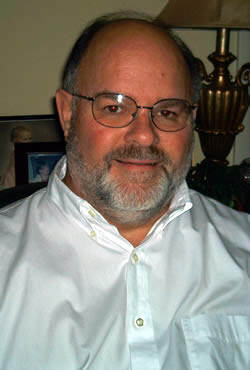 He added Design Master HVAC in 2005 and Design Master Plumbing in 2008. About 80% of Greenco's work relates to HVAC and plumbing, and 20% is electrical. "I first heard about Design Master Software when a colleague shared a disk and some information he received in the mail," Mr. Green remembers. "I looked it over and felt it had some possibilities. After seeing an online demonstration and downloading the software on trial, I was completely sold. I could see right off the bat how Design Master Software could improve our efficiency. It's not only helped us work a lot faster, but also it makes it very easy to keep all the project information organized." Mr. Green continues: "With each Design Master product we've purchased, we've been up and running immediately. The software is extremely user-friendly. If we happen to have a question or two, the support is really good. They get back to you right away. On the few occasions when I've called with an idea for a new feature, I've found they're already working on it, and pretty soon it's available. They're always very open-minded about customer requests. I've seen many helpful new capabilities come down the line to me since I've been a user." Though Greenco uses other design software when necessary, Design Master is their software of choice for nearly every job. "Design Master is just much quicker, cleaner and easier to use than AutoCAD MEP or Revit MEP, especially for the kinds of projects we deal with," explains Mr. Green. "The great thing about Design Master is that you can be designing as you're drawing. It speeds the whole process up tremendously--instead of two steps it's a one-step. Each component of the suite is well integrated with the others, so you can easily exchange information between them. As you're working you can jump between drawings on the fly. And it's set up to handle ASHRAE and other compliance requirements, which saves even more time and ensures that our designs meet client needs," Mr. Green adds. While he noted an array of timesaving features in the other components, Mr. Green had particular praise for Design Master Plumbing: "It's just super-fast. 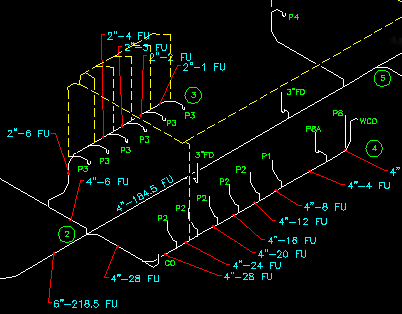 Like, as you draw your piping, if you input the elevations of the pipe you can select what you want the software to display on a riser and 'Boom!' --it does it. It's a huge time-saver." "Design Master also makes the quality of our designs stand out," Mr. Green continues. "I frequently get comments from architects and general contractors saying they like how the drawings look and that they're standards-compliant." Customers are likewise always happy with Greenco's quick turnaround on projects, and the flexibility to respond to changes that Design Master affords. "It's a fantastic tool; one I'm happy to use every day," Mr. Green concludes. "It makes our job easier and helps us work safer, smarter, faster and better. If I had to stop using Design Master Software, a grown man would probably cry."